« Mayhem at 35m: Like it or hate it? Denise and I rocked ’em again on our second Festival Early Morning In the Field workshop. We had fifteen folks. The pre-dawn sky offered a bit more color than the day before but was still pretty boring but everyone learned a ton. The crane pool was only so-so but everyone learned a ton. Then we re-visited the new flooded field but that was not very good either. But everyone learned a ton. Despite a crummy overall morning but everyone learned a ton. Again we were plagued by the seemingly omnipresent northwest breeze. Everyone received lots of individual attention and everyone went home very happy. My keynote presentation, “A Twenty Year Love Affair with Bosque” was warmly received by a large crowd. It was a pleasure having 14-year Bosque manager Phil Norton in the audience. He kindly contributed some back story on the state of the refuge since he left and later retired from the refuge system. 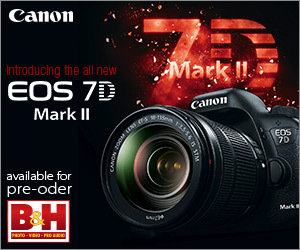 The like-new Canon 200-400 lens offered yesterday sold instantly. Today’s blog post, the 357th in a row, took 2 hours to assemble and was published from my hotel room in Socorro, NM at 3:50am. Festival of the Cranes Early Sunday Morning, NOV 23. In-the-Field Photography Workshop: 5:50-10:30am. Limit 16/Openings 5. $125. After sellouts on Thursday, Friday, and Saturday there are still a few openings for the Sunday offering. Sign up at the Festival Info Table in the Bosque Visitor Center. 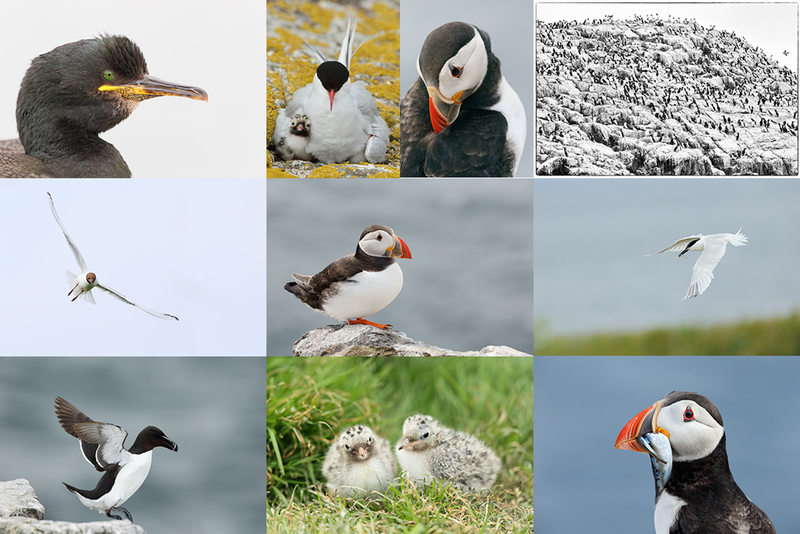 Join full time professional photographers Arthur Morris/BIRDS AS ART and Denise Ippolito/A Creative Adventure for four 1/2 hours of fun and learning at the refuge. 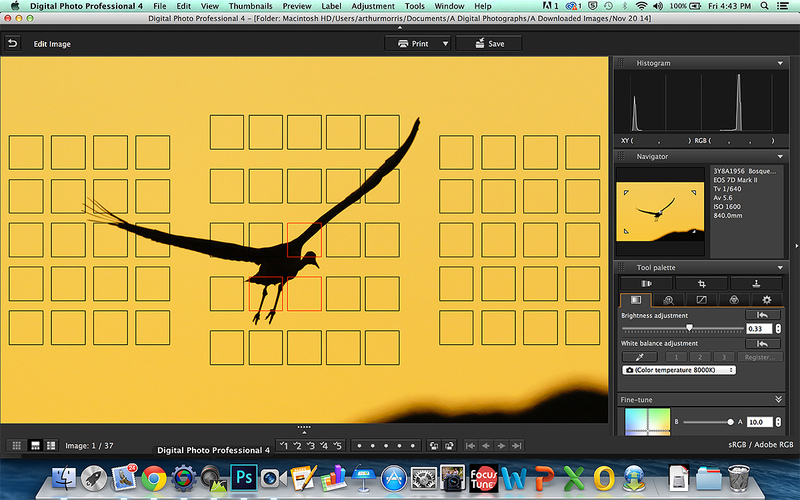 You will learn how to create pleasingly blurred images in the low predawn light, to spot the good situations, to understand the effects of wind speed and direction on bird (especially in flight) photography, to photograph individual cranes in flight, to see and understand the light, to get the right exposure every time after making a single test exposure, and to design pleasing images. In addition you will learn and live Artie’s early morning Bosque del Apache strategies, strategies based on over two decades of experience at the refuge. This is a caravan event and a refuge pass will be provided. Dress with layers for warmth and bring snacks and plenty of water. Workshop leaves sharply at 6:00 AM. It is still not too late to Get Out of Your Box! The Creative Bosque IPT is perfect for folks who want to learn to think outside the box, to create new and different images. This workshop is the perfect add-on for folks who attended the Festival of the Cranes. 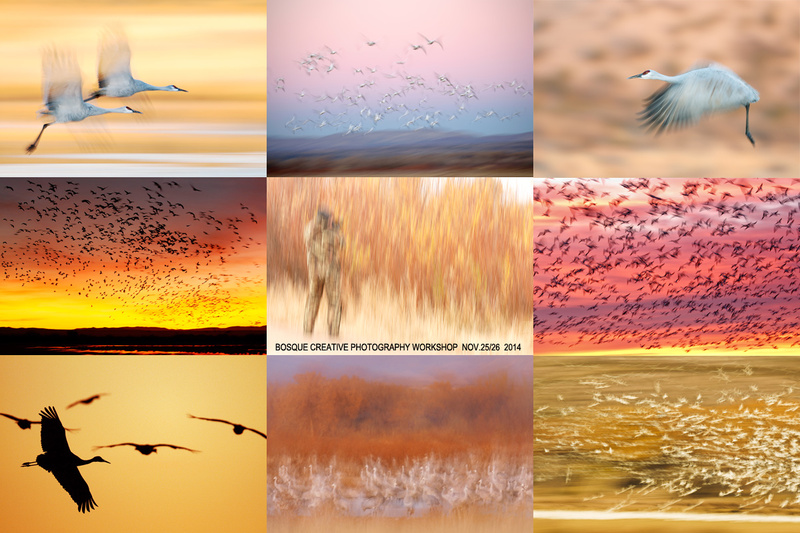 Learn to unleash your creative juices at the wondrous Bosque del Apache National Wildlife Refuge in San Antonio, New Mexico with two great leaders including the amazingly talented and creative Denise Ippolito. In-the-field instruction will include tips on gear set-up, on creating a variety of pleasing blurs, on getting the right exposure, and on designing pleasing images. And lots more. From vertical pan blurs to subject motion blurs to zoom blurs to multiple exposures we will cover it all. 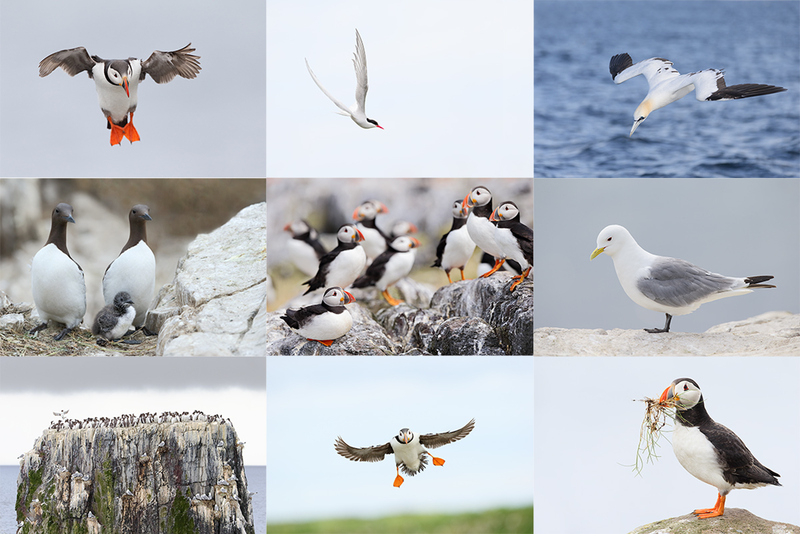 If conditions are perfect, we will not hesitate to take advantage of them to do some traditional bird photography. This workshop will include an inspirational introductory slide program on Sunday evening, 11/23, after dinner on your own, two morning and two afternoon photography sessions, all lunches, a digital workflow and Photoshop session after lunch on Monday, and an image critiquing session after lunch on Tuesday. At this late hour, the only way to to sign up is to either find us on the refuge or get in touch via e-mail. 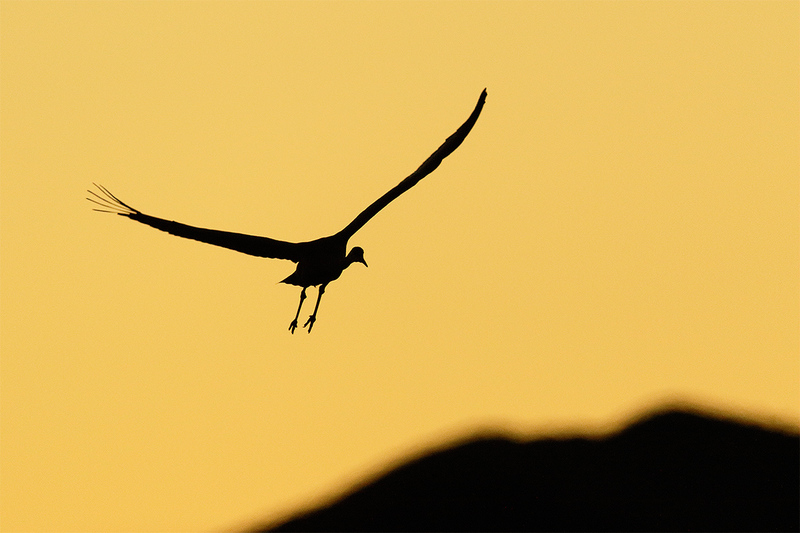 This Sandhill Crane image was created on the clear early evening of November 20, 2014 just after sunset at Bosque del Apache NWR. I used the Gitzo 3532 LS carbon fiber tripod), the Mongoose M3.6 head, Canon EF 600mm f/4L IS II USM lens, the Canon Extender EF 1.4X III, and the Canon EOS 7D Mark II. ISO 800. Evaluative metering + 1 stop as originally framed: 1/1000 sec. at f/5.6 in Av mode. Color Temperature: 8000K. 65-Point Automatic Selection Rear Focus/AI Servo AF selected two sensors, one on the tail and one on the upper back/near wing as originally framed. They were of course active at the moment of exposure. 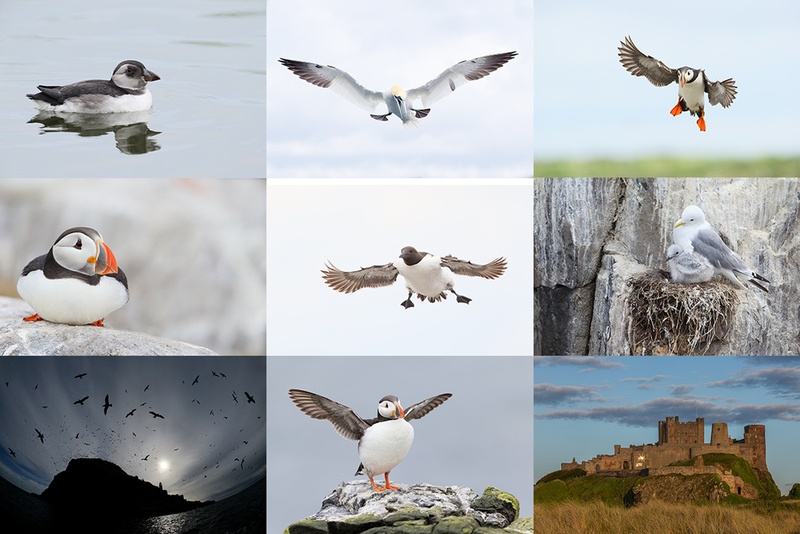 Click here to see the latest version of the Rear Focus Tutorial. Click on the image to see a larger version. 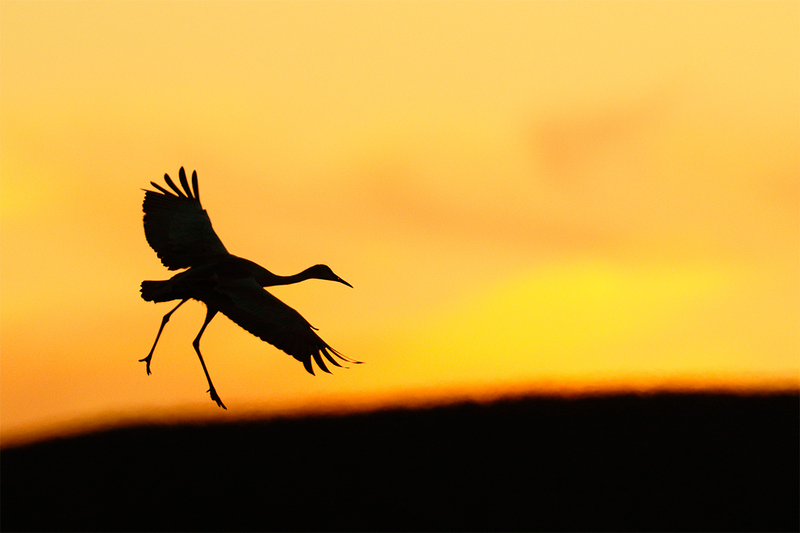 As the two crane silhouette images here show, I was right on the money as far at the 600 II/1.4X III/7D II combination was concerned. In short, the 7D II continues to amaze me. This Sandhill Crane image was also created on the clear early evening of November 20, 2014 just after sunset at Bosque del Apache NWR. Again I used the Gitzo 3532 LS carbon fiber tripod), the Mongoose M3.6 head, Canon EF 600mm f/4L IS II USM lens, the Canon Extender EF 1.4X III, and the Canon EOS 7D Mark II . ISO 1600. Evaluative metering + 1 stop as originally framed: 1/640 sec. at f/5.6 in Av mode. Color Temperature: 8000 K.
65-Point Automatic Selection Rear Focus/AI Servo AF selected and array of three sensors that covered the bird’s head and legs perfectly. (See the screen capture below.) The three sensors were active at the moment of exposure. 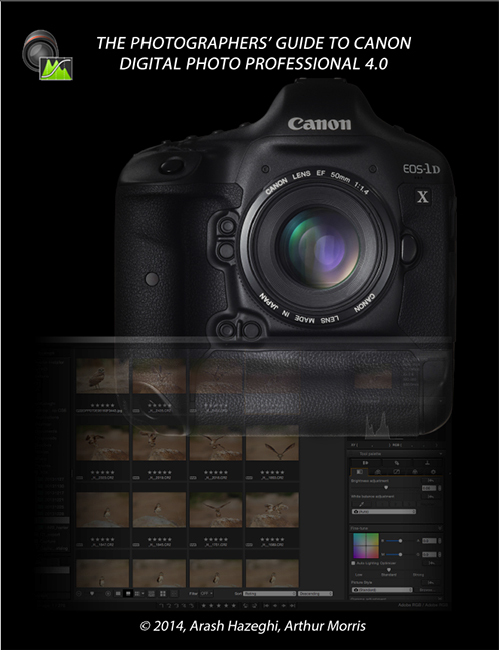 Click here to see the latest version of the Rear Focus Tutorial. Click on the image to see a larger version. Which of today’s two images is your favorite? Please take a moment to leave a comment and let us know why. This is the DPP 4 screen capture for Image #2. The DPP 4 screen capture for Image #2 shows the array of AF points that were selected by 65-Point Automatic Selection illuminated in red; pretty darned impressive it you ask me. Those with good eyes can see that I lightened the image 1/3 stop (.33) with the Brightness slider on the Perform basic image adjustment tab. For most images I also use the Adjust image detail tab (for NR), and the Perform image lens correction. For the first time ever I used Fine Tune to tweak the sky color. 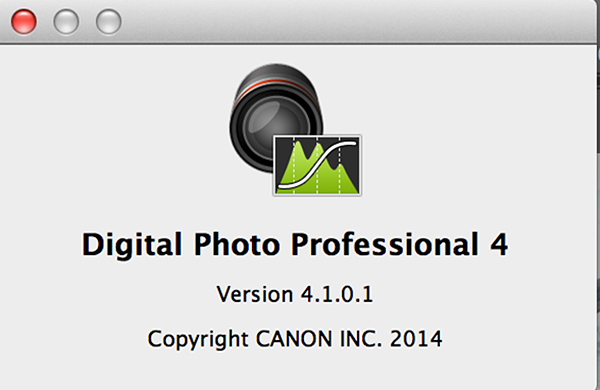 An updated version of Canon Digital Photo Professional that supports RAW files from the EOS-7D Mark II is available for download via the Canon USA website. Though some folks had trouble getting access to the Mac version of DPP v4.1.0.1 I was able to download and install it easily yesterday evening. Hint for Mac folks: after you double click on the downloaded zip file you need to go to your desktop and click on the icon that was magically created there in order to begin the installation. When you travel do you take the very large lens hood for your 300 mm 2.8 lens or is there something smaller ? This post is to acknowledge my comment to Artie whose knowledge and desire to share and help made me realize what I don’t know. Never having met him in person before, I had the impression that he was a rude, arrogant person that I would never want to spend time with. Yes there are a lot of AM stories out there and testament to his fame, it is hard to have a conversation with another photographer, pro or amateur without his name coming up. I decided to sign up for his event at Bosque with mixed feelings. I was surprised by his kind nature and strong desire to help each of us who attended. (Denise was a delight as well.) There’s no question that Artie has personality, but there’s no doubting his photographic knowledge. Artie, thanks. My preference is the first image. I like seeing both wing tips and the color glow on the mountain edge. I recently purchased both your DPP4 and Noise Reduction Guide. Both are must reads. My question is this: What are you currently recommending For Noise Reduction and why? Does DPP4 NR eliminate the need for Neat Image or DeFine 2? Jack, just change the OS version to “OS X Mavericks v10.9” and the software appears in the list. Note that in order to dl the software, one must have a compatible product. I tried the sn for my 7D [“Mark I”, no Mark II for me yet] and it won’t work, which is actually ok because DPP4 cannot use the images produced by the original 7D. And yes, Canon should release a version specifically for OS X Yosemite 10.10. I’ll bet it will be here soon. I am confused by the above. My understanding is that DPP 4 works with “Yosemite” whatever that is? Artie, is there anything like DPP4 out there for Nikon users ? Hi, Artie. I like both but I prefer the second image. I like the sweep of the bird’s wings while at the same time it has its feet dangling, and I like the head position. I’d like it even better if the left wing also had the “fingers” spread like the right wing. Also, the mountain background is more interesting in the second image and better matches the bird. But I prefer the color in the first image. Too bad there is no update for DPP4 using Yosemite OS.